This week, Your News to Know brings you the latest news involving the gold market and the overall economy. Stories include: Why gold prices might be set for a rebound, Americans can’t afford to ignore gold, and gold exports to China soar in run-up to Lunar New Year. After posting the best year in the last several years, gold has recently come under pressure due to a bolstered stock market and stronger dollar. Yet according to a report by UBS, Americans are now scaling back their post-election optimism – uncertainty over Trump’s policies and the President’s comments on the dollar being too strong has recently sent the greenback stumbling to a six-month low. 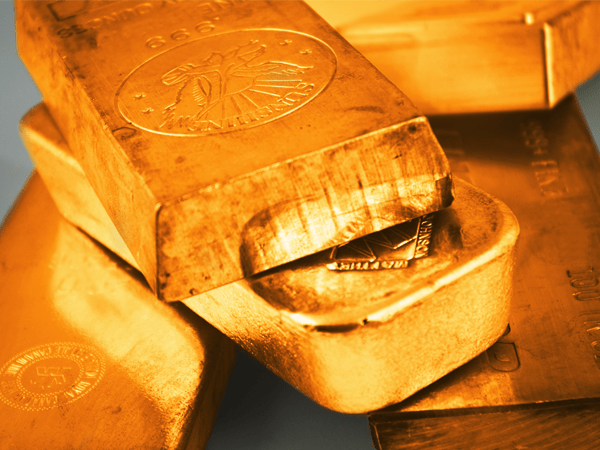 While this has allowed gold to hit two-month highs, UBS has stated that there is still plenty of room for the metal to grow due to the dollar’s recent weakening. “We think this is warranted and see room for gold to extend upwards as markets digest uncertainty around U.S. fiscal policy. But gold has also recovered considerably and market uncertainty at this point could encourage investors to lock in whatever profits they can for now, especially as seasonal gold demand fades,” said UBS, explaining that gold has already recovered from a short-term perspective. According to the world’s largest asset management firm, inflation is coming a lot quicker than many market watchers think, and it could catch everyone by surprise. Russ Koesterich, portfolio manager for BlackRock’s global allocation team, wrote about the rise of inflation and what it means for gold. “Like the proverbial frog that does not notice the rise in water temperature until it’s too late, investors seem to be experiencing a similarly stealthy rise in inflation,” wrote Koesterich. BlackRock’s money manager noted that inflation last year rose to 2.1%, which was the first time it went above the Federal Reserve’s target of 2% since 2014. “Housing costs are now rising at the fastest pace in nearly a decade,” he added, while also listing medical costs, rising wages and consumer inflation expectations as the key culprits. “[S]hould inflation expectations rise faster than nominal rates, gold is likely to continue to merit a place in most portfolios,” said Koesterich of the yellow metal, which has traditionally acted as the premier hedge against inflation. A recent report by Bloomberg notes that gold exports to China from both Switzerland and Hong Kong soared in the run-up to the Lunar New Year. Data from the Swiss Federal Customs Administration website shows that Swiss refiners exported more gold to the world’s top consumer in December than in any month since at least January 2014, supplying as much as 158 tons compared to 30.6 tons in November. Hong Kong, the other major supplier of gold for mainland China, also sold 47 metric tons of gold to the nation in the same month, up from November’s 40.6 tons. These exports brought the full-year total of purchases to 444.2 tons, up from 288.1 tons in 2015. Analysts stated that lower prices at the end of last year spurred pent-up demand while last week’s start of the Year of the Rooster, which is associated with the gifting of the precious metal, will continue to support it. “There’s been a tail-wind behind gold, and China’s just one of the directions from which it is blowing,” said Ken Hoffman, senior metals and mining analyst at Bloomberg Intelligence.